The Hard Rock entertainment franchise has expanded its coverage to the New Jersey iGaming marketplace, and this Hard Rock online casino review aims to address it properly. Due to the widely reputable and internationally recognizable brand name, it is likely for players to assume its high-quality gaming experience can also be found on the online platform. In the short timespan of its existence, this platform has managed to reach standards and draw the attention of the mass player pool. Still, it is advisable to consider the specific ways this operator has handled key matters such as legal compliance, games, and respective bonus offers, as well as any other priority important to the Hard Rock Casino online NJ player pool. The Hard Rock’s takeover of the famous Taj Mahal in Atlantic City can well be described as history in the making, as the pricey venture resulted in the brand’s establishment in both markets simultaneously. Namely, the Hard Rock online casino website was launched on the same day as the land-based Hard Rock casino opening, on June 28, 2018. With the Atlantic City–based establishment providing the license, and the highly reliable online platform providing top gaming content, New Jersey players can now enjoy this exclusive online gaming experience. When the first batch of NJ online casino operators entered the newly opened NJ online gambling market back in 2013, these new platforms offered greater variety and consequently, player satisfaction. As such, it’s no surprise that the Hard Rock Casino online platform was welcomed and quickly accepted as an equal to its competitors. When it comes to online casino players’ concerns regarding newer platforms, it’s all about the gameplay. Namely, players want to make sure that the game selection at the specific casino floor will be able to meet their preferences in terms of game variety. Thus, they distinguish casino game titles based on anything from themes and design elements to gameplay–types, formats, and rewards—all the way to game-specific features. The Hard Rock Casino online games feature all the major types. Namely, players at this platform are able to enjoy slots, progressives, table games, and instant-win games and scratch cards, as well as the most recent addition—a live-dealer casino game section. Although added later than the rest, it has still managed to accumulate enough player traffic to sustain itself, and ultimately reward both parties. Table games and instant win games and scratch cards distinguish no more than a few titles each, presumably due to the casino’s recent release. Alternately, the Hard Rock casino slots online selection is as well-equipped as any established casino platform, including iconic titles like Starburst, Jimi Hendrix, and Motorhead slots. The casino operator has managed to make up for the lack of experience in the New Jersey iGaming industry with two leading casino software providers—NetEnt and GIG. In fact, their ability to identify and meet player needs and preferences has allowed the platform to attract more than decent traffic despite its shortcomings. While it may depend on each individual taste in online casino gameplay, the video poker and table game selection ratings would be higher in any fair Hard Rock online casino review should they enrich their offerings. Players choosing to register and enjoy the abovementioned game varieties at the Hard Rock online casino are eligible to benefit from a range of bonuses and promotions. It has become standard practice for online platforms to provide new players signing up for a player account with a No Deposit bonus offer. However, novices at the Hard Rock casino website are yet to benefit from this type of bonus, or any Hard Rock social casino promo code, mainly due to the platform’s rather recent launch. Nevertheless, other bonuses and player perks are still available, starting with the industry-standard Welcome Bonus. Namely, this offer awards players with a 100% match on their qualifying initial deposit amount. Considering that this deposit match is capped at $1,000, the site’s New Jersey–targeted player pool is arguably able to enjoy all the perks that established brands offer to their player base. Moreover, 50 free spins, distributed in portions of 10 during the first five days of making the claim are also part of this Hard Rock online casino bonus. 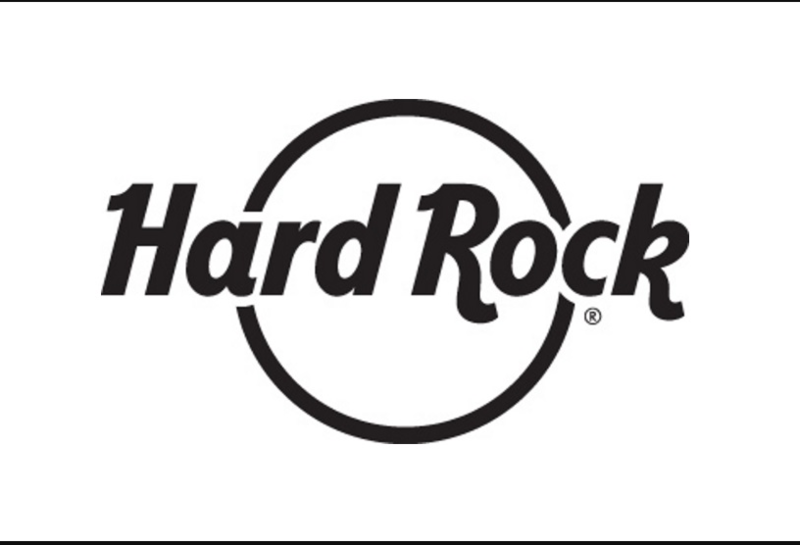 A VIP Loyalty program known as the Wheel of Rock is also available to the Hard Rock casino player pool, with a range of rewards and benefits depending on the player’s points ranking. Aside from this, there are many time-limited offers and promos specifically targeting a particular game type or title. The Rock Coins promo, on the other hand, allows players to choose where to spend their range of free spins or redeemed cash credits. Still, it’s the Rocker Spins promo that’s illustrated in many a Hard Rock online casino review as optimal for fans of the franchise. This offer awards players with concert tickets and other rockin’ benefits that improve their overall experience, not only their bankroll. In terms of optimization, a casino’s platform compatibility can seriously make or break an online casino player entertainment. When it comes to the Hard Rock online casino, this is definitely one of its strong suits. Desktop access to the platform is available via any browser, meaning players don’t have to download any dedicated software to their devices. Nevertheless, for the mobile client, an inherent app for iOS and Android operating systems is available for download. Each Hard Rock online casino NJ app functions perfectly on its respective platform and offers the full range of game titles, bonus offers, and banking and customer service capabilities. One sole exception is the KISS slot by NetEnt, exclusively available via desktop PC or laptop. The platform’s level of interactivity is crucial to the longevity of its success, as no amount of game variety has proven enough to compensate for a poor website layout. At the Hard Rock online casino website, the links to all key gameplay segments are available straight from the home page, with the game offerings placed in a central position. While this game selection may lack a few additional sorting filters for more specific searches, it fits perfectly into the casino website’s layout. With a color pattern, design, and overall visual effect inspired by the recognizable look of the global entertainment franchise, even the Hard Rock login and registration page is intuitive and visually appealing. Generally, game loading time, crash potential, and similar glitches in the system should be accounted for when discussing a casino site’s degree of accessibility and ease of use. Hard Rock is reliable when it comes to the issues mentioned above, particularly due to the fact that it runs game software from industry leader NetEnt, perfectly fitted in the software platform of the renowned Nordic iGaming content provider Gaming Innovation Group (GIG). While ease of use is understood for the game selection and bonus segments, considering the respective features of each, the banking section should also be considered in this Hard Rock online casino review. Namely, Hard Rock online casino players in the state of New Jersey can also fund their player account and cash out their winnings via standard credit card methods, as well as more up-to-date online payment processors, including the inherent Hard Rock Pay+ prepaid card, directly through the Cashier. Legal compliance is of the essence when players choose where to spend their online gaming bankroll. Namely, online gambling in New Jersey was legalized back in 2013, with the Division of Gaming Enforcement as the relevant authority, and Hard Rock casino online has ensured they are in line with all the DGE’s latest provisions. Specifically, all online gambling platform operators are required to affiliate themselves with a reputable and, most importantly, licensed land-based casino establishment. In this case, that is the Hard Rock Casino in Atlantic City. Equally important to legal compliance are the security methods applied to the site for player protection. This particular platform employs high-end SSL encryption certificates, which turn all important data into unintelligible text. What’s more, the casino further protects players from any tampering with the game software. It employs Random Number Generators for this purpose, all of which have been appropriately tested and proven fair by reputable third-party auditing companies. Ultimately, the Hard Rock Casino online player pool is able to pose questions to or request assistance from the customer service and support representatives. They can be contacted via a phone number, email address, or the recently added 24/7 live chat support service. All in all, the Hard Rock Casino has managed to achieve quite a high level of gaming content quality within the short time span it’s catered to the New Jersey market. The game variety needs some additions made to the selection, even though the ones offered so far are still bound to meet most gaming needs for a specific timeframe. Industry standards are better met at the bonus and promo section, where all player profiles can find an eligible offer. On a final note, the points drawn from this Hard Rock online casino review go to show that despite being a recent addition to the online casino options, this site has the foundation to become a rock-solid online gambling destination on a long-term basis.